While Blackjack is still an unbeatable Casino game to win real money, we all need something different sometimes. 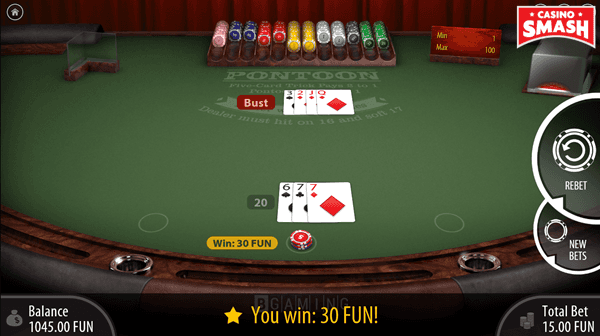 But if you still want to stick with Casino table games, I’d suggest trying the Pontoon card game online. What is Pontoon, you may ask? It’s a gambling card game very similar to Blackjack and the Spanish 21. 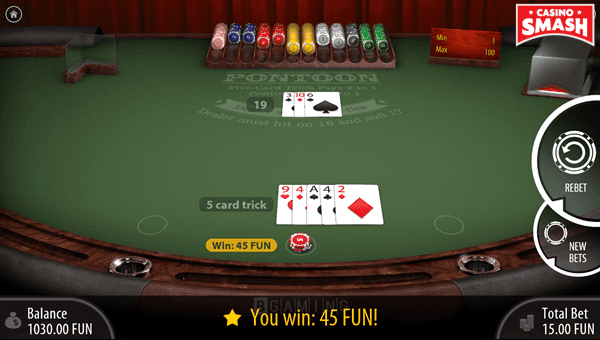 Pontoon is easy to learn and fun to play. How easy is Pontoon? Let’s see. The Pontoon card game rules will be easy to crack for anyone who has at least tried playing Blackjack. If you haven’t had a chance yet, head to read Blackjack rules or play Blackjack for free here. 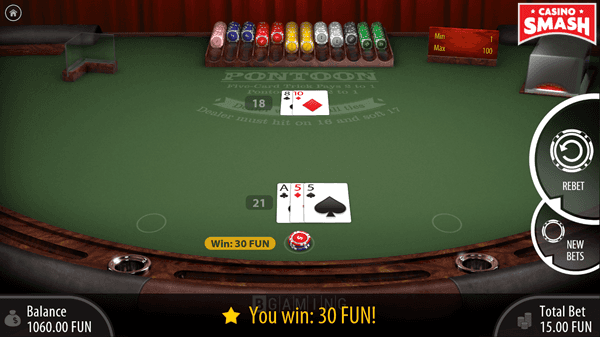 Traditionally, two or more players can play Pontoon Casino card game. If you play the game with your friends, a standard 52 card deck will do. 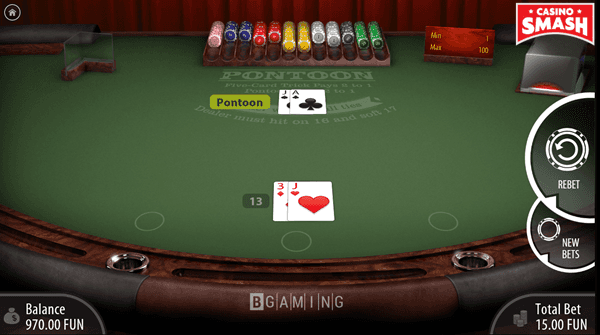 How to play Pontoon in a Casino? Online or offline, you play against the dealer. The Casino can use two and more card decks for the game. 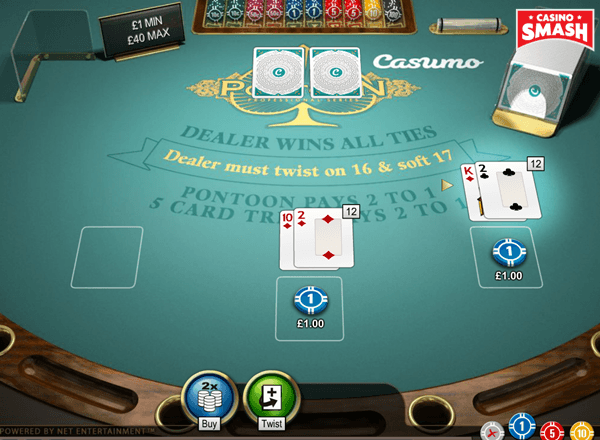 Often, eight decks are the case for Pontoon games online. other cards have their numeric value, i.e., 9 of any suit has 9 points, 7 - 7 points, and so on. The game also has the same goal as Blackjack - to get a hand totaling 21 points without going over. Or to get higher than the banker but still less than 22. There is one exception in Pontoon rules, called a Five Card Trick. But about it a bit later. In Pontoon, having a tie is not an option. The banker wins on all ties. Who is the banker, you may ask? That’s where the differences between Blackjack and Pontoon start. In the terms used. While Blackjack has a dealer, the very same person is a banker in Pontoon. Also, in Blackjack, a hand consisting of an Ace and a face card (total value of 21) is called a blackjack, in Pontoon it’s called - you guessed it - a pontoon. The banker deals two cards starting with the player(s) and later to themselves. In American Blackjack (or the classic Blackjack), the dealer deals one card face up and one face down. In Pontoon, both of the banker's cards are face down. They can check their cards and flip them face up only if they have an Ace and a face card (aka a pontoon). Not knowing any of the dealer's cards makes the Pontoon strategy a bit more complicated than Blackjack one. Asking for another card for your hand is always called hit in Blackjack but often twist in Pontoon. Whereas stand from Blackjack turns into stick in Pontoon. Remember: When you play Pontoon online, some Pontoon versions (e.g. BGAMING one) may show hit and stand buttons instead of Twist and stick. If you have a total value of less than 21, you can increase your stake. In Pontoon, it means you can buy cards. It’s pretty much saying that you hit (or twist) but at the same time, you increase your wager. But the extra amount you wager cannot be lower than the initial bet. Also, it cannot be more than twice bigger than the initial bet was. When you play online, the rules can vary. 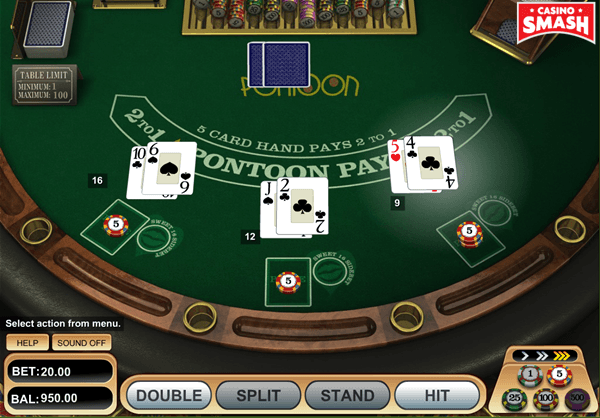 For example, in most versions of Pontoon, you can only double the stake when you buy a card. If you choose to buy one or two cards and twist another one, after that you cannot buy more cards even if your hand value is still under 21. In Blackjack, you can make whatever move you want, even the stupid and pointless ones like standing on 9. But it’s not possible in Pontoon. 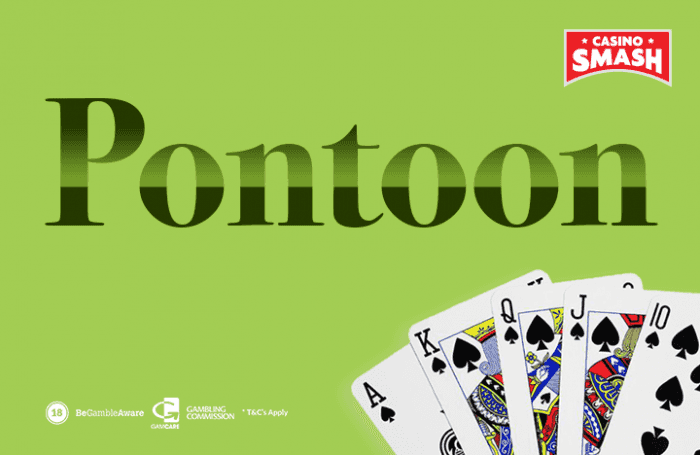 In the classic Pontoon, you must twist on any hand that has a value of 14 points or fewer. Finally, while there are no insurance bets or surrender in Pontoon card game online, the possibility to split remains. Once you have save value cards (e.g. two 9s, two face cards, two Aces), you can split them into two different hands. It requires an extra wager for a new hand. And then the gameplay goes as normal - you play with one hand and then with another. If the next card you get is equal in value to the first two, you can split again and play with three hands. Or four, if that happens one more time. But let’s be honest, chances of that are low. The best hand you can get when playing Pontoon is a pontoon. It’s an ace and a face card or a 10. It beats all the other hands in the game, thus you win. Unless the banker has a pontoon, too. Then it’s a tie and you lose. If you manage to get a hand of five cards totaling 21 or less, it beats even the hands that have exactly 21 but with four or three cards. This hand also pays 2 to 1. If you have a hand of three or four cards with 21 points in total, that’s also good. It beats all the other hands except a pontoon and a Five Card Trick. If none of the above apply to the specific game, the winning hand is the one that has most points but doesn't go over 21. And that pays 1 to 1. If your hand is 22 or more points - sorry, but you’re done. For that round, at least. So, now you know Pontoon rules. Does that help to know how to win at Pontoon? While you know what you need to achieve, you may not always know how. Luckily, there is a basic strategy that can help you out. Like in many other gambling games that involve playing cards, you need to have a Pontoon strategy. While card poker doesn’t have a single clear strategy of how to win more, Blackjack does. And Pontoon, being a variant of Blackjack, does, too. There are a couple of Pontoon winning tips for anyone who starts playing the game. 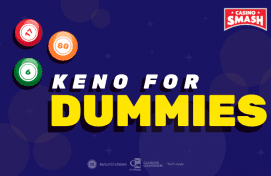 While they may be obvious for more advanced players, the beginners can use them to get hold of the game faster without going through major and avoidable losses. Always split if you have two Aces. You have a good chance to get a face card for at least one of the split cards. And that would make a pontoon. Always stick if you have a total of 18 or more. You cannot risk going bust and that’s too close. Do twist on 17 if you have a four-card hand. While risking double bet is still risky, you might as well try your luck and see if you’d get the Five Card Trick. Buy card (double) if you have a four-card hand that’s less than 17. You have good chances to get a Five Card Trick and that’s as good a hand as it gets when you have more than two cards already. If you want to know even more on how to bet on each hand, check the Pontoon strategy cheat sheet. You will be beating the dealer in no time. Once you know how to play Pontoon online, you need a place where you can practice it. And finding one is not the easiest of tasks. Trust me, I’ve been there. 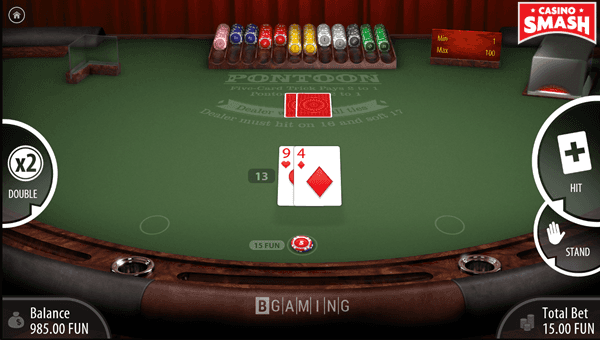 While Blackjack has dozens of variations, Pontoon is far from the popular ones. Players do love the game but online Casinos don’t. Because it pays too well. Using a correct strategy can reduce the house edge to less than 0,5 percent. Often, that’s even better than Blackjack. Thus, finding Pontoon card game online at PWR.bet Casino proved they work by their mission - to power up the player, give them a chance to choose and play their own favorite games. Not without a good bonus, either. As a welcome gift, you get 50 free spins for Starburst. If you love Slots, it’s a good bonus. Plus, 10 free spins that have ZERO wagering requirements. That's as good as it gets. Free spins are always a nice touch but if you can’t wait to try Pontoon, go after PWR.bet deposit bonus. The Casino will match your first deposit and give you up to €500 bonus to play their games. And you don't even need a bonus code. Pretty neat, right? Click here to open a FREE account and once you are ready - make a deposit. Then search for Pontoon card game and practice what you've learned!